Terranite equipment is obtainable through quests, and is available for all classes. while decreasing defense by 10% for 30 seconds with a 1% chance of attack. Increases Strength and Intelligence by 20%, with a 1% chance of being hit. As soon as you reach your level to get to Vilmark-Area 50, you may then obtain the quest to craft Terranite equipment from Linus. 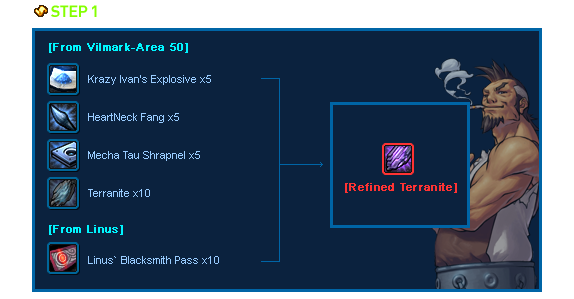 After you obtain the above-mentioned items, you will be able to craft 1 piece of Refined Terranite. After completing the weapon quest, you can move on to the quests that craft the bracelet, necklace, and ring. You will need to collect 3x the indicated amount to craft all pieces of the Terranite Accessory set. 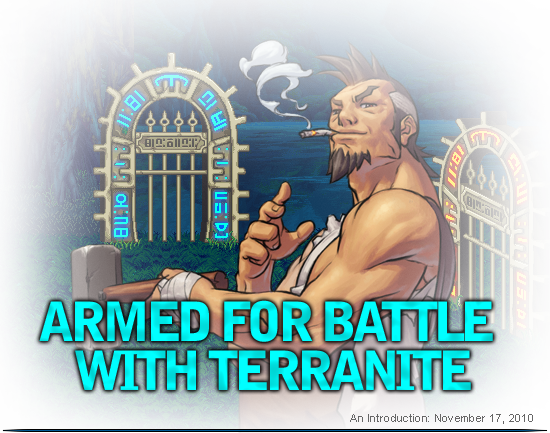 If you LOVE to battle other Dungeon Fighters in the PvP Arena, you need to craft the Terranite weapon and accessories! Looking at all the items that are needed to craft these powerful items may seem daunting, but they’re worth the time and effort! You’ve battled through Vilmark Area - 50 for Strength and Intelligence stones, Skill Point books, and Awakenings... Now it’s time to battle through this dungeon for this mysterious ore that will create these legendary items that will make you a force to be reckoned with!